IoT is eating the world. Check out this post where we explore the future trends in IoT and the importance of integrating IoT data with future smart devices. Just as software has transformed industries, I now believe that it’s IoT that is eating the world through data-spouting devices connected to the Internet. Here, everything gets connected. We are currently in a growth spurt — from the migration of analog functions monitoring and managing the physical world to the digital functions involving communications and software. IoT means multiple things for consumers, devs, enterprises, and industries. There are many different definitions for IoT that emphasize different corners of the IoT, including smart homes, connected cars, and factories. The defining characteristics of IoT are that it connects people to physical objects via applications. IoT connects us to the objects we use in the physical world through applications we use in the digital world. This relationship has inherently changed the way we engage and interact with those objects. Historically, we interacted directly with objects. For example, a thermostat — now, we may be able to control operations via the corresponding native app on your phone or tablet. That separation between user and hardware has a number of implications. It changes how we engage and interact with devices. What was direct, is now indirect. Operations that were previously manual, can now be automated, personalized, and constrained. There is no shortage of talk about the Internet of Things (IoT). Regardless of how you feel about all the buzz surrounding the IoT, there’s no doubt an enormous and growing number of devices getting connected to the Internet to enable or deliver new functionality and services. IDC predicts that the worldwide IoT market will grow to $7.1 trillion by 2020, so it’s not going away anytime soon. We are at the beginning of IoT adoption. So NOW is the best time to start considering IoT for your projects. There’s a lot of excitement and potential to converge data that have never met each other before. Along with that, there are development opportunities on the device side and application side. IoT means we’re building more apps, so no matter where you go in the IoT, you’re bound to need RESTful services. 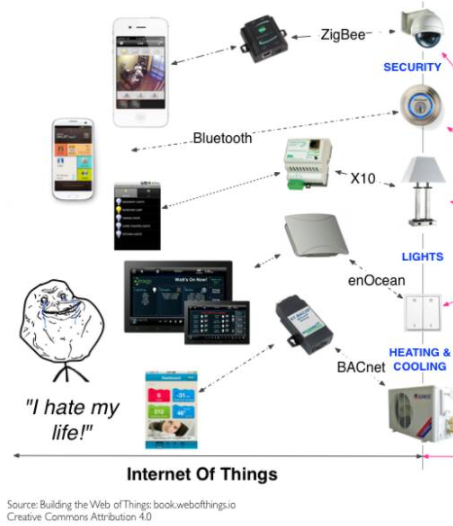 Another certainty about the Internet of Things is, well, the Internet. The near universal way applications and devices communicate over the Internet are via RESTful services. REST APIs provide the simplest way for connected applications and “Things” to interact in a standard, well-understood way. Plus, the data from all these connected things needs to be ingested, stored, and processed in a variety of database types, and consistent REST APIs are the most efficient way to do it. Finally, there's a need to build applications (web, mobile, and other) to help other systems and people do something with all this IoT data. 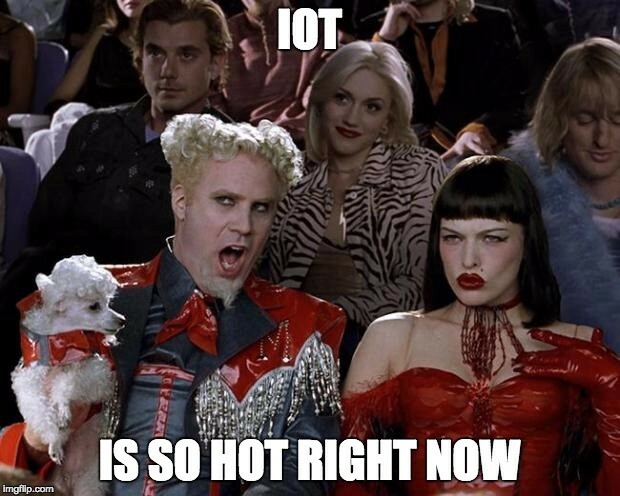 Why is everyone talking about IoT now? What’s contributing to this? Hardware is becoming extremely cheap. Phones are mega sensors that are always on us, but we don’t treat them as a true IoT sensor device, yet. But in a loT of sense, a phone is a collection of many sensors. The price of smartphones is dropping. Connectivity — Wherever you go, you need Wi-Fi and connectivity. It's a basic expectation to have Wi-Fi connectivity these days, even in emerging and developing countries. Development is becoming easier — the complexity increases. The tools, libraries, and various open source projects are making interacting and interfacing with hardware much easier. The learning curve is shortening. The current state of IoT is one that is disconnected. There are many platforms that don’t integrate well with each other. We must focus on connecting things and creating horizontal standards and fighting vertical silos. Currently, everyone is narrowly focused and mainly concerned about collecting and storing data. There are many other issues we need to focus on, such as standards. We envision a lot of things we can’t deliver on yet. We need software on top of the hardware and to orchestrate communication between devices and automation. There are almost more devices connected to the Internet than computers. Currently, these devices are vertically solidified, in silos. If you were to look at your iPhone, how many apps do you have? Just wait, with IoT (in its current state) you need many unique apps to manage devices. If we aren’t careful, you will soon have an app for your coffee maker, for your alarm, for Hue or Nest, etc. Devices have a lot of data about you that could be very valuable. It’s common for data and it’s format to change, and it’s hard to agree on a standard and the implementations of it. The premise is that everything should talk to everything else. There needs to be common data interchange. We need to focus on the Thing, the connections between them, and the automation based on interactions with those Things. We need to go from the "Internet of Things" to the "Integration Of Things." There is so much potential in IoT to be predictive, and not just reactive. For example, can we recognize what signals look like in a heart attack through data and be able to act on that and do preventative care? Let’s take data and do something about it! We are in a connecting stage where everything is connected to everything else, and APIs help us glue and integrate services. One of IoT’s BIG hurdles is data — capturing, using, and analyzing data. Data collected is not always shared with other systems in meaningful ways. How do we manage this data? We need to architect and structure IoT. Networks and core networks are not designed with this in mind, and we now have billions of devices and data. So, how do we deal with it? We buy things one at a time, depending on the brand at the moment, a sale, etc. We build things in bits and pieces, one at a time, and when you try to put them together, it doesn’t work. 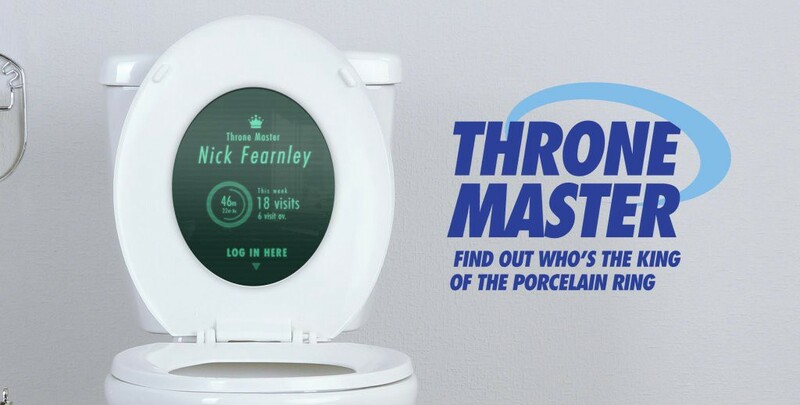 The Internet of Useless Things is a reminder that, while IoT is a great opportunity, making things "smart" and connected only makes sense if it’s useful and well done.